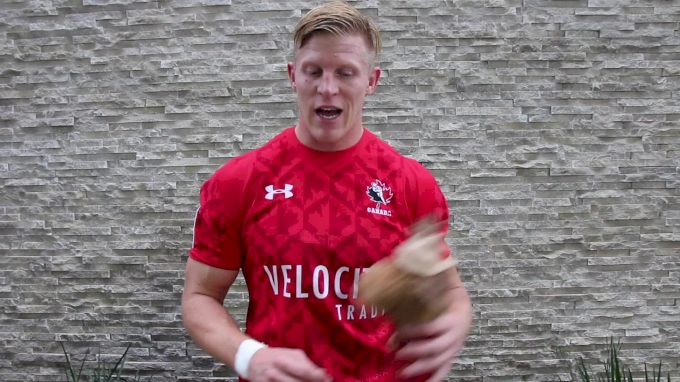 Players in Canada's men's sevens program have reportedly boycotted training because Rugby Canada has changed the team's structure, making sevens the second banana to 15s, and the players are not happy at all. The Canadian men's 15s team is gearing up to play in the Rugby World Cup Qualification Repechage in November, looking for that elusive final spot at the quadrennial tournament. Canada faces Germany, Hong Kong, and Kenya in a round-robin tournament in Marseilles, France. Canada 15s head coach Kingsley Jones said he would expect all domestic players to be available for preparation (including warmup games in France), but that plan has expanded into Rugby Canada merging the 15s and the sevens player pools. Some might see this is a money grab. The Canadian men's sevens program is funded in part through the Canadian Olympic Committee, which raises funds through donations, sponsorships, and through backing from the Canadian government (the USA is the only country in the world whose Olympic Committee does not get government funding). Whether it is or not, it seems to be creating a division between sevens and 15s, pitting players against each other and making for a negative environment in camp. Players have not been shy in expressing their ire in social media. The lack of concern is disheartening. To use 7s as a development tool they must be on the circuit. Without returning 7s players I believe Canada would be relegated. Many countries sole aim is to make it on to the circuit & the Hong Kong qualifier is as intense as any tournament. With money in short supply in Rugby Canada, it would be tempting to use sevens resources to train 15s players for the Repechage. So it is that new contracts for the sevens players included reduced pay — funds that are expected to be redirected toward the 15s players. Rugby Canada has indeed officially centralized sevens and 15s players under contract. According to a report by the Canadian Broadcasting Corporation, this is an acknowledgment that Canada doesn't have the depth to run 15s and sevens separately, but really it's more about the fact that sevens players get a monthly check from the government as elite Olympic athletes, and the 15s players don't. So now the funds from Rugby Canada that augment a sevens player's pay have been cut substantially.